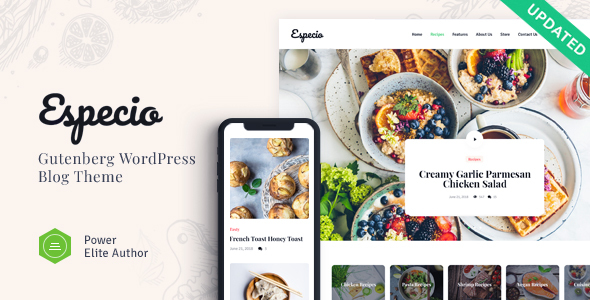 Especio is a clean & fresh WordPress Blog based on Gutenberg page builder. It is apt for guest post blog, rouge, niche blogs, giver, viral blogs, giveaways, guides, personal portfolio & how-to blogs. Also, it fits homer, the tell-all, business, cryptocurrency, professional, reverse, writer & world news. Especio is intended for nutritionist, healthy food and lifestyle blogger. Also, it fits healthy cooking and recipes website, sports & nutrition magazine, gym trainer, personal fitness trainer and lifestyle coach, etc. Furthermore, it is great for dietologist, diet program, gastroenterologist, travel blog and baby blog.